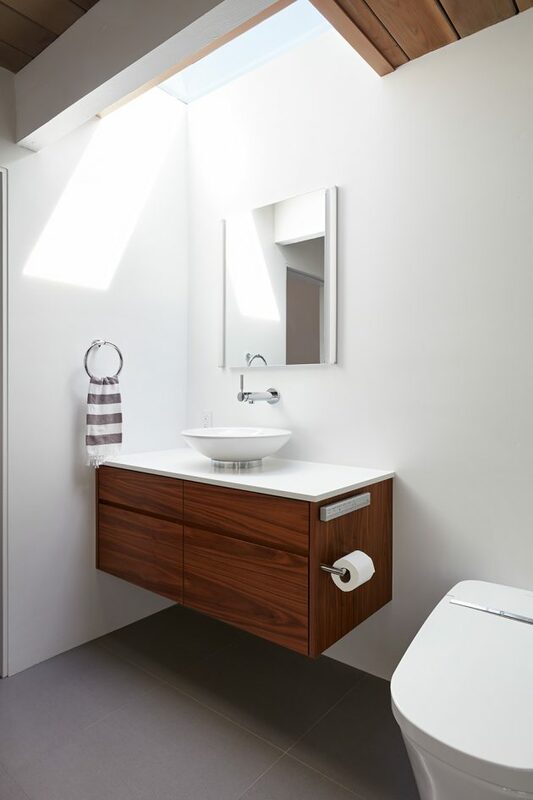 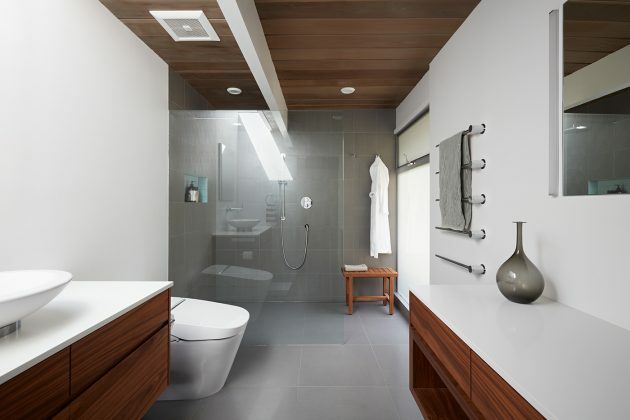 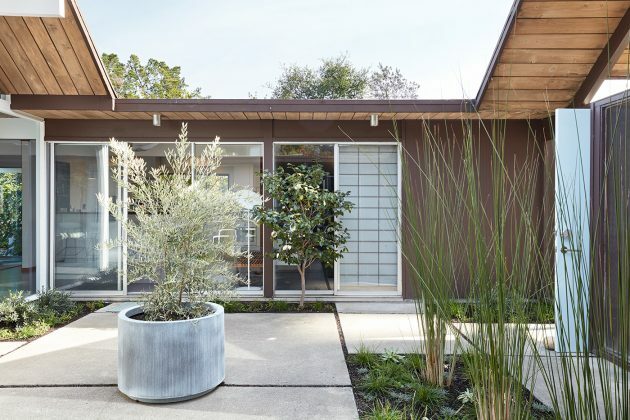 Klopf Architecture have recently finished an ambitious remodel of an existing Eichler residence in Burlingame, California. 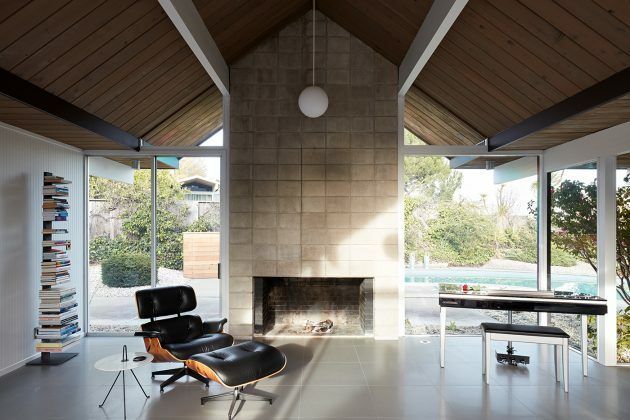 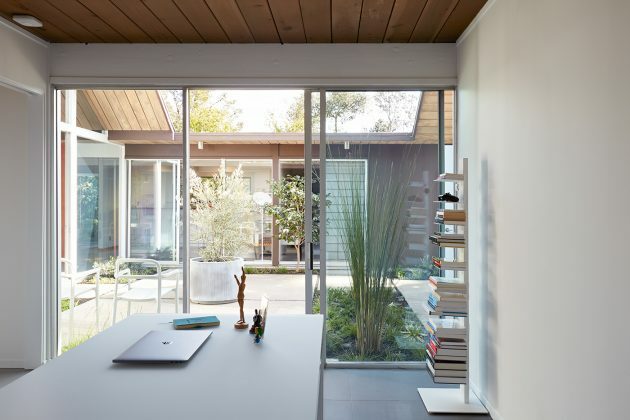 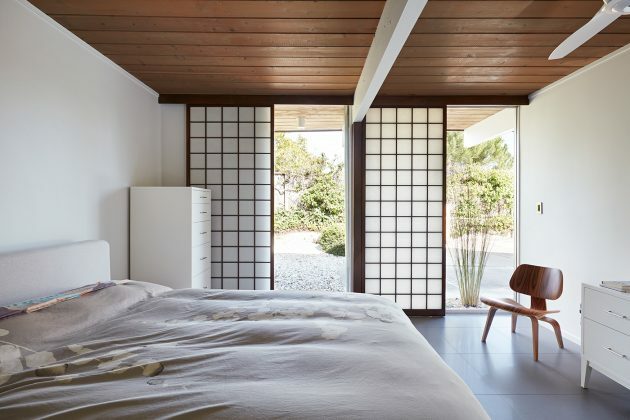 Their goal was to preserve the Eichler spirit of the residence while creating a brighter and more open interior layout. 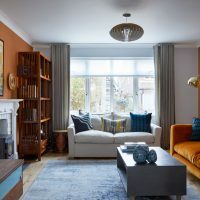 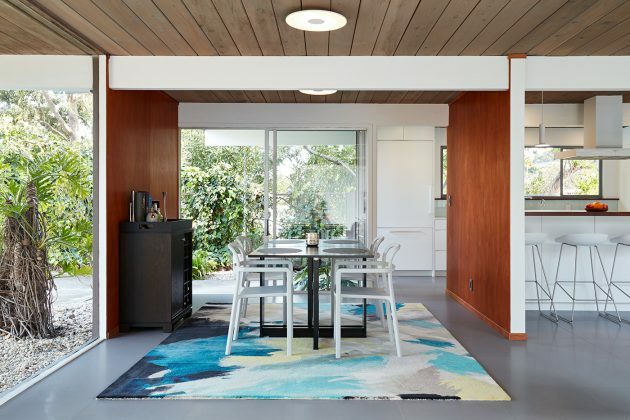 In order to achieve their goal, every room had to be reconfigured. 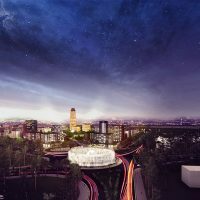 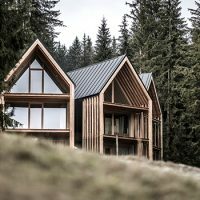 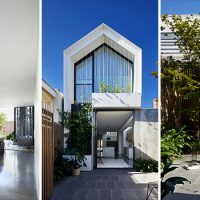 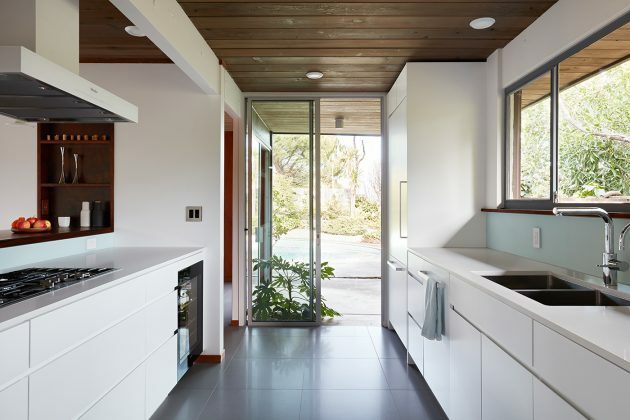 Every little detail was consulted with the owners of the home who were very involved in the entire process. 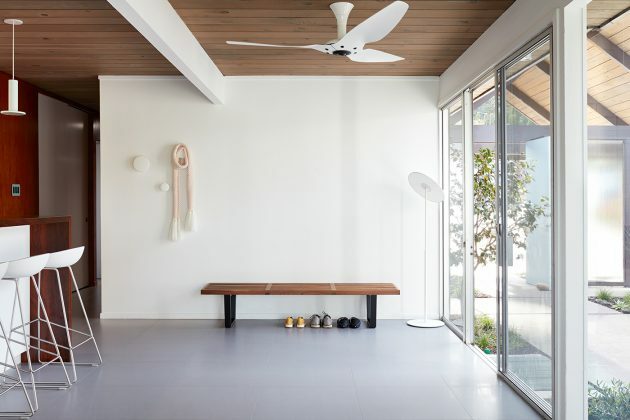 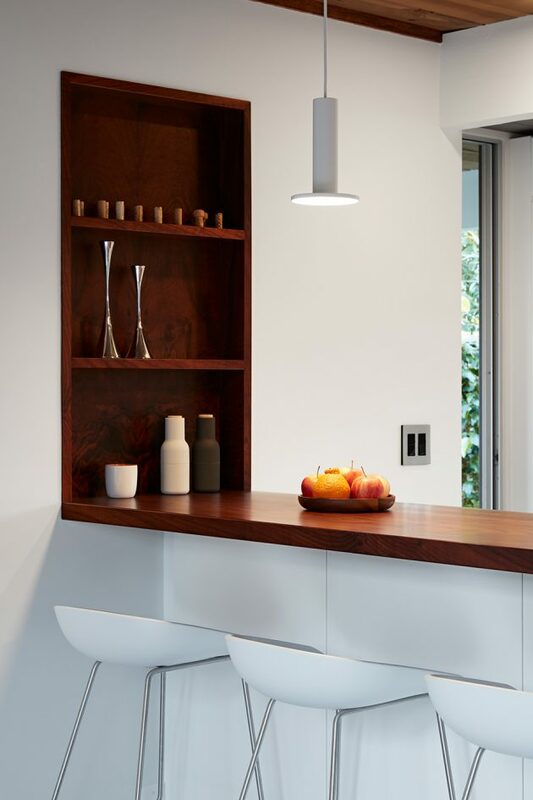 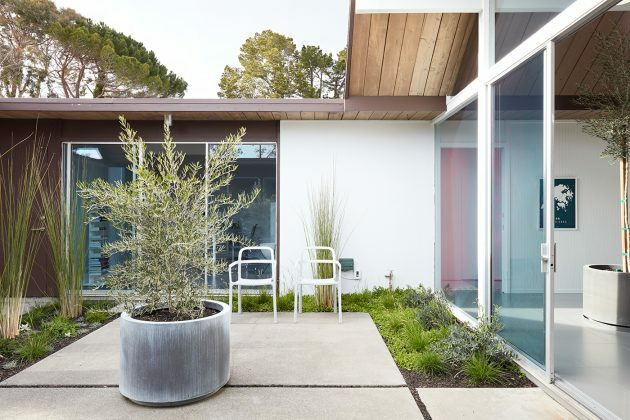 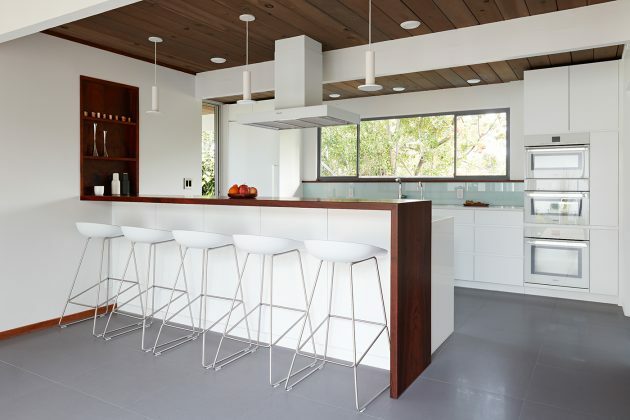 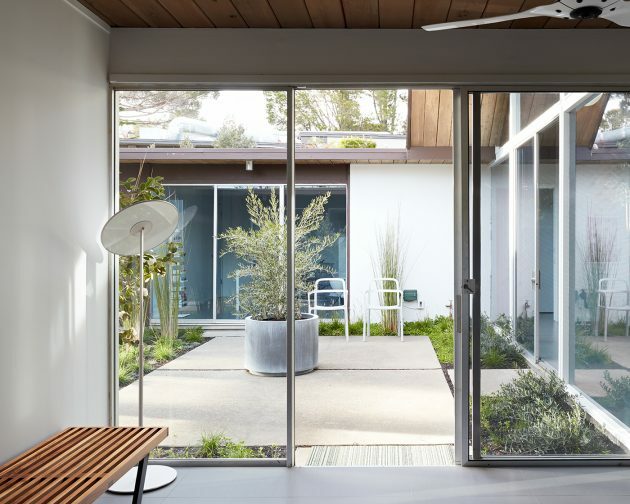 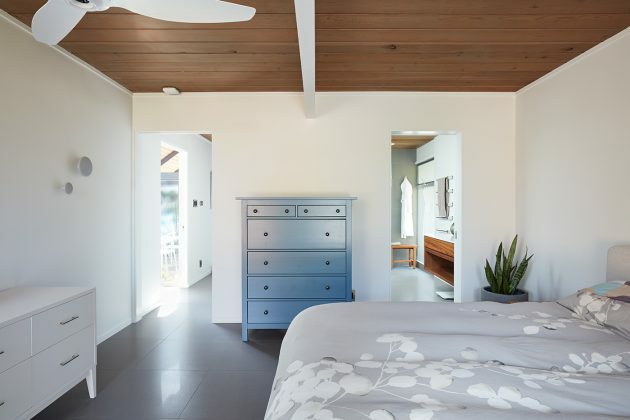 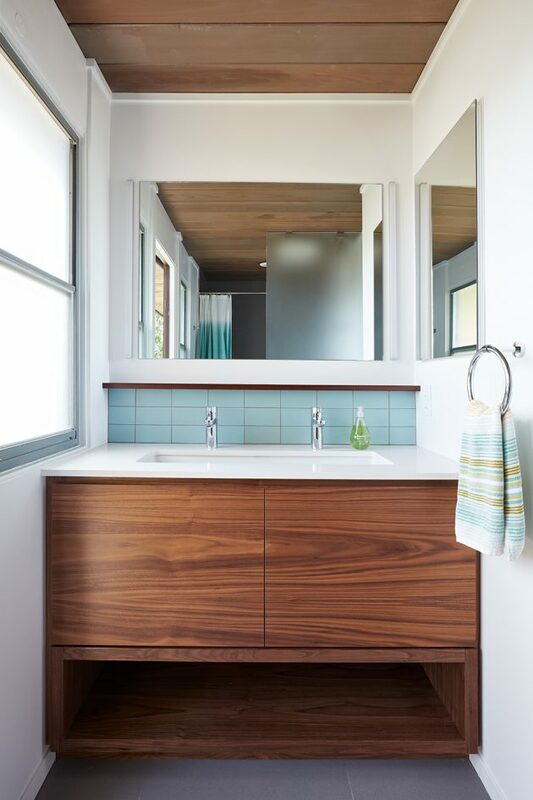 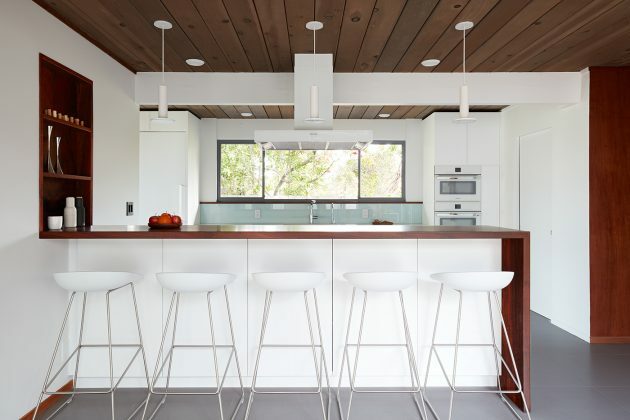 Klopf Architecture and Jesse Ososki Art remodeled an existing Eichler atrium home into a brighter, more open, and more functional version of its original self. 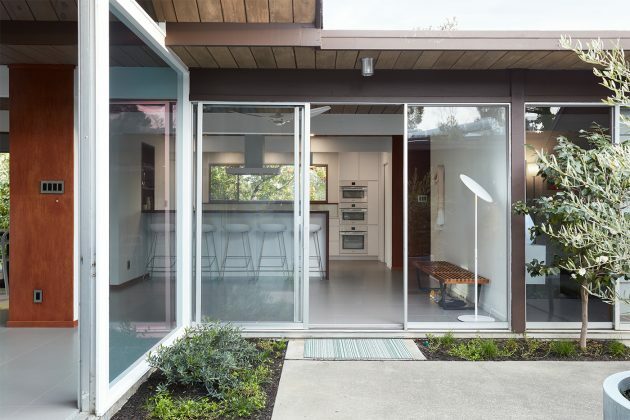 This Burlingame Eichler Remodel is a 2,121 sf, 4 bedroom/2 bath home located in the heart of Silicon Valley.